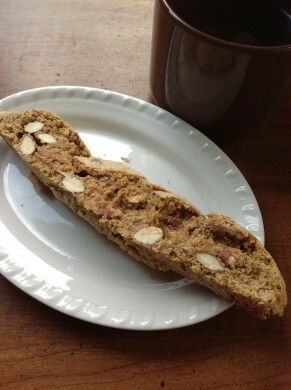 These traditional Italian biscotti are crunchy due to the addition of sliced almonds. 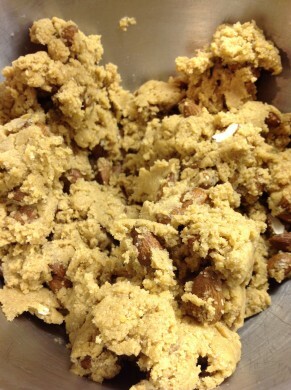 Double baking is what give them their firmness which remains even after dipping in milk, tea, or your favorite coffee. Try coating the ends in melted chocolate and wrap with a chocolate-dipped spoon for gift-giving. Lightly grease a large sheet pan. 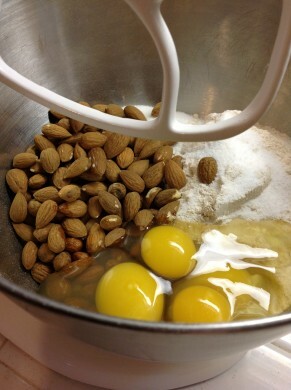 In stand mixer or in a large bowl with a wooden spoon, mix together all ingredients, adding almonds at the end. Turn onto lightly floured surface and knead a few times until a soft dough is formed, keeping it dusted enough to prevent sticking to hands and table. 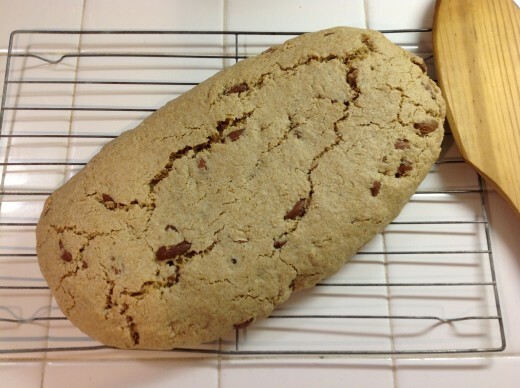 Shape the dough into one 12″ X 3-4″ log or two 8″ narrow logs for small biscotti. Quickly transfer to sheet pan and reshape if necessary. Dough will be soft so work quickly. Bake for 30 min. Remove log from pan and cool on wire rack for 10 min. 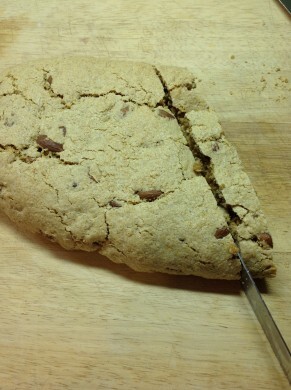 Cut, diagonally for very long biscotti or horizontally for shorter cookies, into 1/2″ slices. 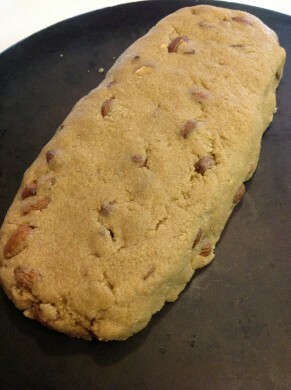 Place cut side down on baking sheet and bake 10 minutes. 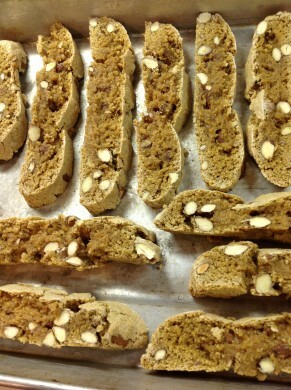 Turn biscotti and bake another 10 minutes on the reverse side. 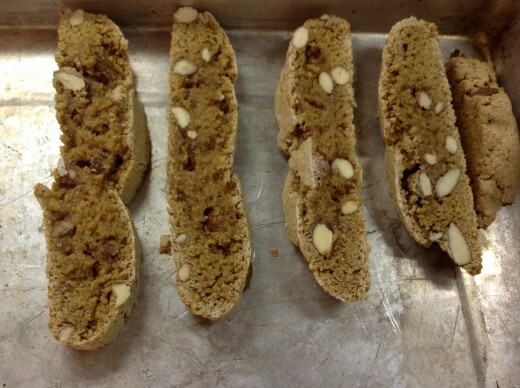 Note: Darker pans make darker biscotti. Bake in the center of the oven to control browning.